The leaves are falling, the weather is getting colder and pumpkin spice flavored everything is everywhere. Yes, that’s right, sweater weather is finally here. 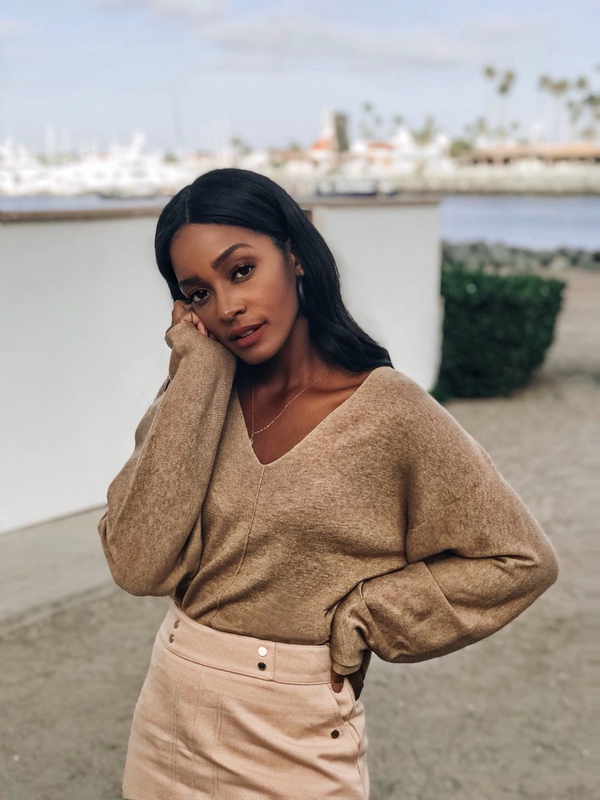 So instead of reaching for your university or Greek affiliated sweatshirt every morning, here are five cute and comfortable sweater trends that are sure to give you compliments! The cowl neck can turn any plain pull over into a more put together and sophisticated look. The best part is, it’s just as comfortable! It’s also perfect for those days where you want to wear a scarf, but don't want to deal with the hassle of wearing one. Adding a little extra warmth to your neck is crucial on windy fall days. Balloon arms are a new and upcoming trend for this fall and winter season. Their intricate shape easily spices up a plain sweater. Allowing you to easily make a bold statement on days where you want to feel more confident. Pair it with mom jeans and booties for a perfect fall day outfit. Cut outs in sweaters have always been a trend, but, recently, brands have been coming out with new cut out designs on the arms. These sweaters are perfect for warmer fall days when you still want to bundle up but want a little more ventilation. They’re also a unique alternative to plain, boring sweaters. The lace up thermal adds a unique detailing and different aspect to your set of basic long sleeves. Perfect to wear on rainy, dreary days with leggings and rain boots or with jeans and booties for a more put together look. You definitely need multiple colors of this sweater in your closet this fall! Camo seems to always be in style, but it’s a must have during the fall. This super stylish pattern can be found on almost any piece these days, but is especially cute on a sweater or sweatshirt. A perfect alternative to an oversized hoodie on mornings when you don’t want people to notice you just rolled out of bed.